The Gunpowder Gear 8" high cal gong is rated for a 9mm hand gun up to 30-06 high cal soft nose lead. The 3/8" thick gong is powder coated for ultimate durability and target acquisition. 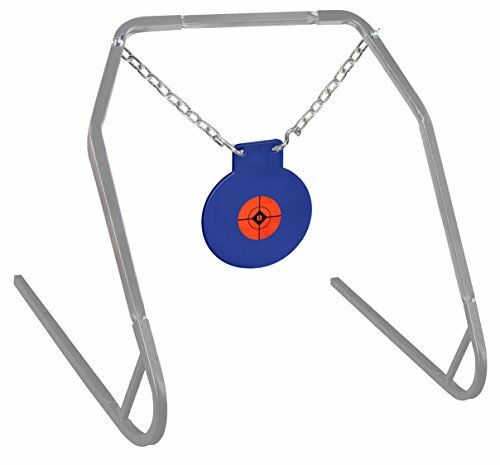 The gong hangs from two 12" chains on a tubular steel frame that is easy to assemble. Set it up close for hand guns or long range for higher calibers. If you have any questions about this product by Gunpowder Gear, contact us by completing and submitting the form below. If you are looking for a specif part number, please include it with your message.